If you’re looking to pay for a pair of cans what most would pay for a stereo system, then these are the bad boys for you. 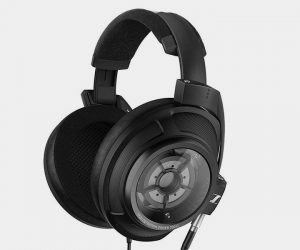 The Sennheiser HD 820 is handcrafted in Germany, for audiophiles, using state-of-the-art technologies, including the use of glass components for sound so realistic, it’s unbelievable. The noise cancellation is exceptional, while those in close proximity won’t be disturbed by your beats. Smart styling, and even smarter sound, allow us to introduce you to Debussy Prelude. 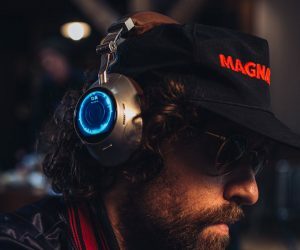 Merging state-of-the-art audio courtesy of haute couture acoustic technology with old-school sensibilities, these are the first standalone high-fidelity cans with 4G and Wi-Fi connectivity, offering comfort, and most importantly, an immersive listening experience just as the composers intended. A much welcome addition to the legendary audio line, the Marshall Minor II sees an in-ear model join its wireless range. 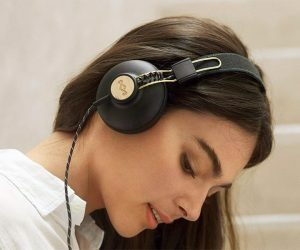 Like the cans that we all know and love, they’re available in black, white or brown, and sport a clever magnetic design that means when you join them together the music automatically pauses, shutting down completely after six hours’ idling. The battery’s good for up to 12 hours and the buds use Bluetooth 5.0 with aptX. The usual stylish offering from this most awesome of audio brands, the Marley Positive Vibration 2 is also an exceptional value. The cans and their surrounding structure incorporate FSC wood and aluminum with a tangle-free braided cable, a 40mm dynamic driver and incredible sound. Choose from a selection of standout hues. 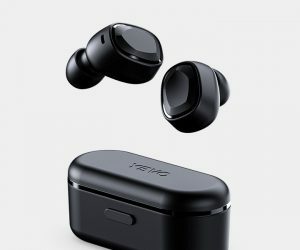 As splendid as the notion of wireless earbuds is, the quality can be hit and miss, and they can also be prone to falling out, but YEVO Air have well and truly restored our faith in them. 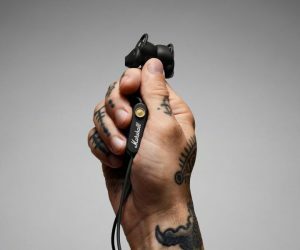 Enjoy up to 14 hours of playback in supreme comfort and security thanks to the sweat-proof design that seemingly molds to your ears, equipped with an omnidirectional mic and HD sound. 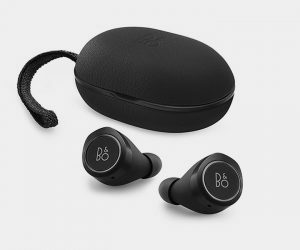 Completely wireless and offering superior sound quality, B&O Beoplay E8 Earphones let you cut the cord while plugging into incredible audio. Compact and backed by the Bang & Olufsen Signature Sound, they are comfortable and won’t slip out of your ears. The intuitive touch interface lets you easily take calls, change tracks, or activate features and voice commands with a simple tap. The genuine leather charging case provides two additional four-hour charges for on-the-go use.